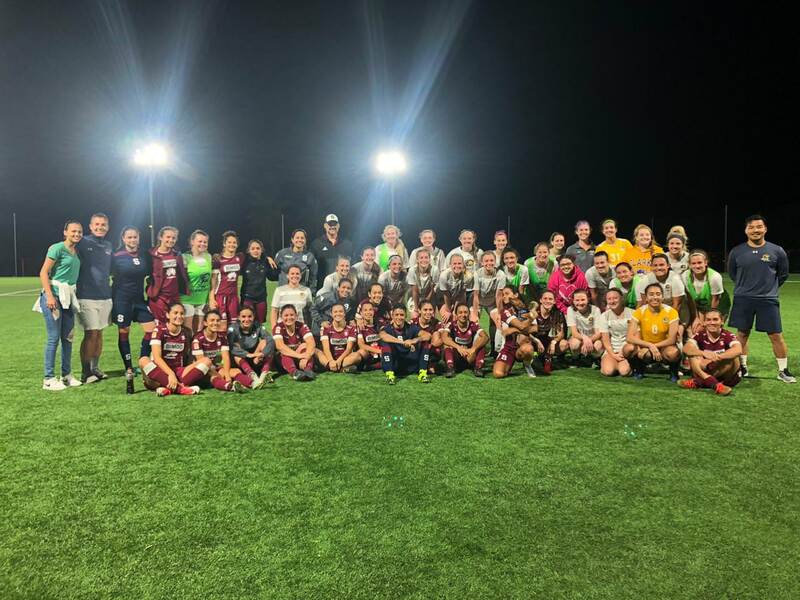 After a day of travel, orientation, and settling into their hotel, Clarke University’s Women’s Soccer Team was ready to take on Costa Rica with open minds and hearts. 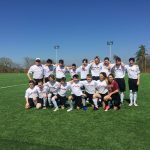 They had an exciting week of learning, exploring, team-building, and, of course, soccer ahead of them! But, not before the team spent the evening relaxing and enjoying the sunset over the beach. 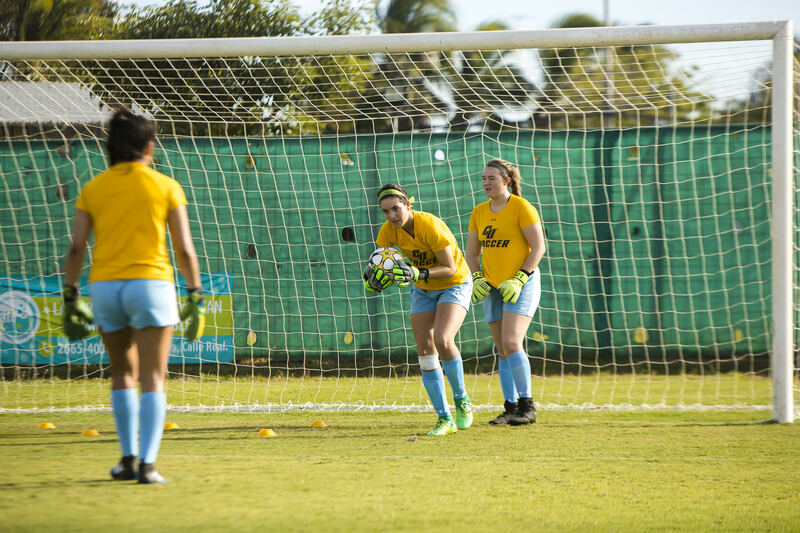 Monday kicked off with team training. 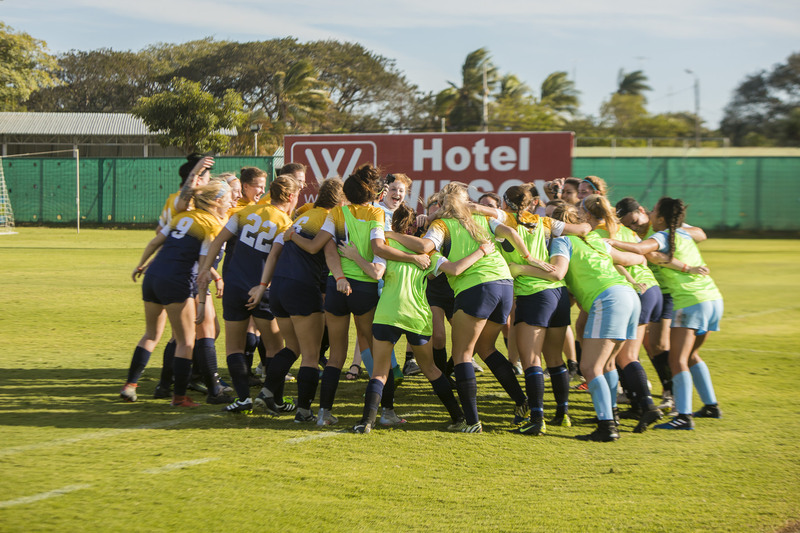 The girls got to work out on Costa Rica’s beautiful beaches to not only bond over scenery, but get in a help workout to prepare for their first Friendly on Tuesday against Liberia (and acclimate to the heat). A new friend iguana was found in the entrance of the hotel and got smiles going right before the game, where they tied 1-1 vs the talented Liberia team. 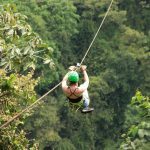 Wednesday was an adrenaline-packed day as the girls headed for their Canopy Zip-Line Tour. 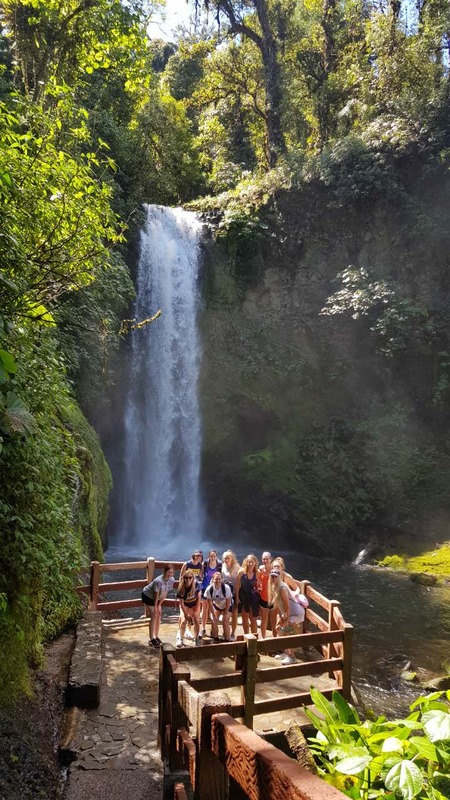 This tour gave the girls an opportunity to see the forest and wildlife around them from an exhilarating perspective. 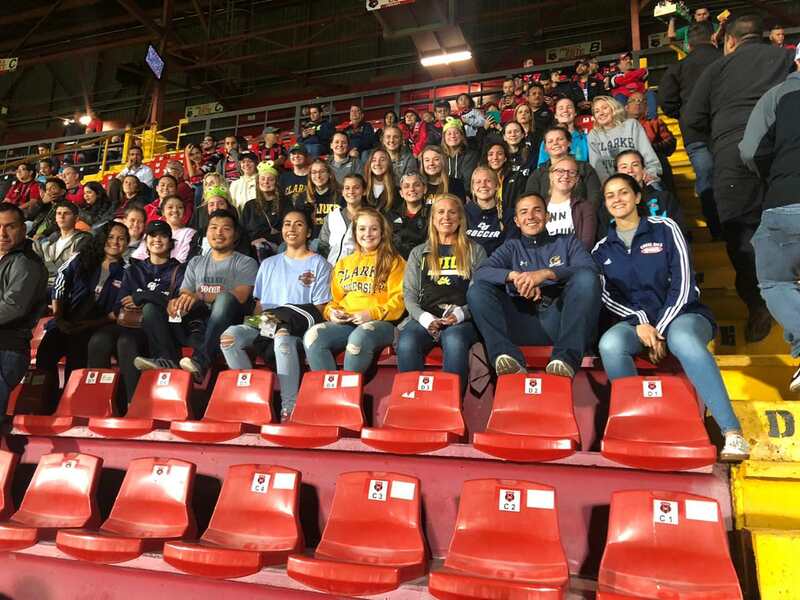 The team got to watch a professional game, Liga Deportiva Alajuelense vs. University of Costa Rica. 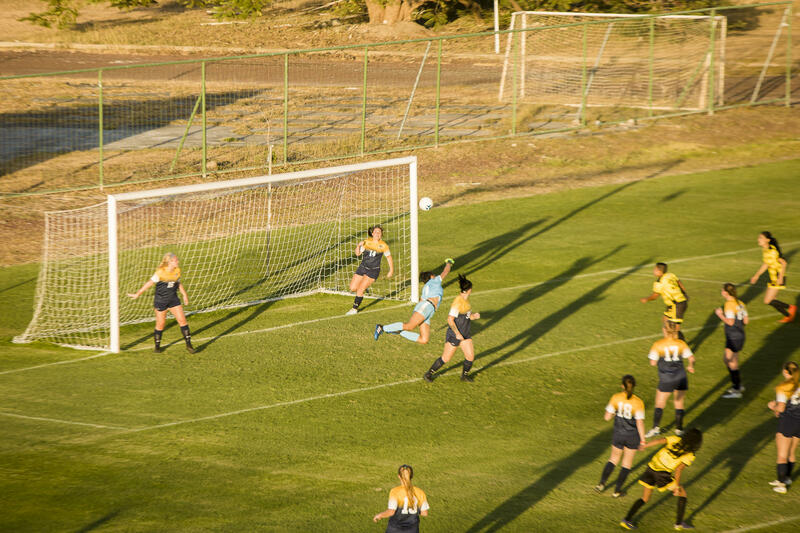 During the game the girls truly experienced how the culture embraces soccer. “It was very different than the soccer culture in USA. 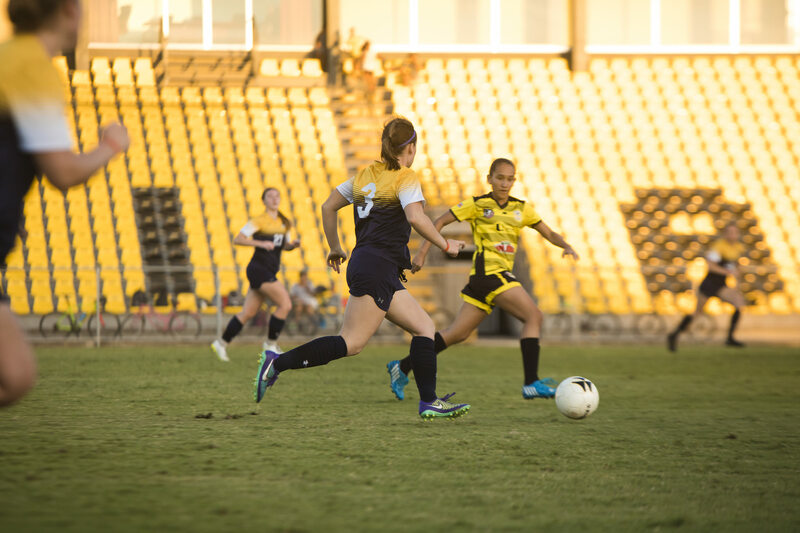 The fans were really into the game,” said Emily Sass, one of the UC players. Day five was a big day for the girls! 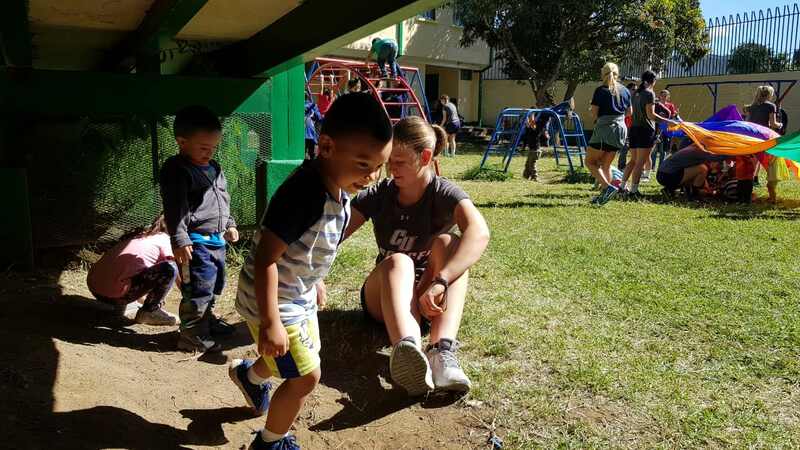 Their community service project involved helping children living in extreme poverty conditions from El Manantial. 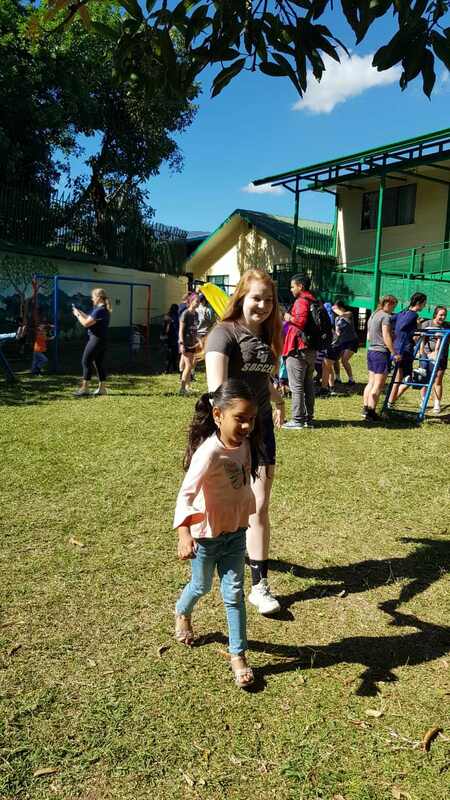 The girls got to make connections with the children by spending quality time with them and making them feel special. The team also donated backpacks full of school supplies to help the children with their studies throughout the year. 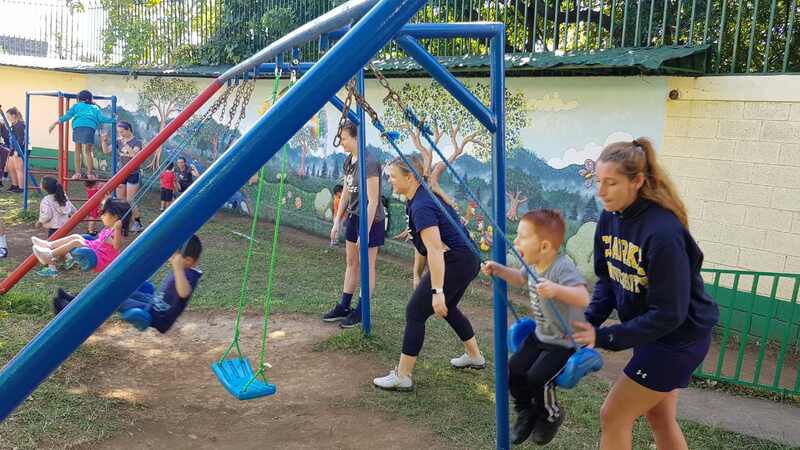 It was a mutually-beneficial experience as the kids got to enjoy a memorable day, while the team gained a new perspective on a different part of the world. 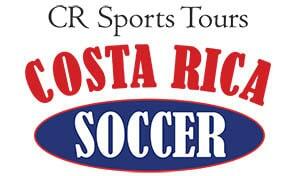 It connected the girls to the country they were playing in while leaving a positive mark on Costa Rica. 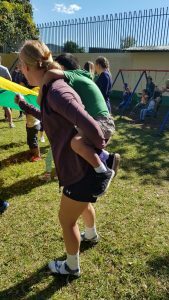 “I loved running around the playground with the kids. Seeing their smiling faces made my day. 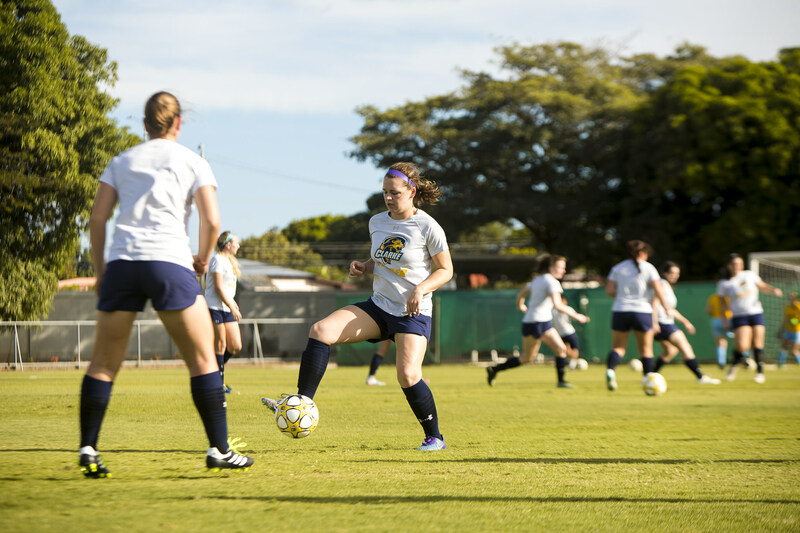 I wish we could have spent more time together,” said Bailey McNamee, UC Player. 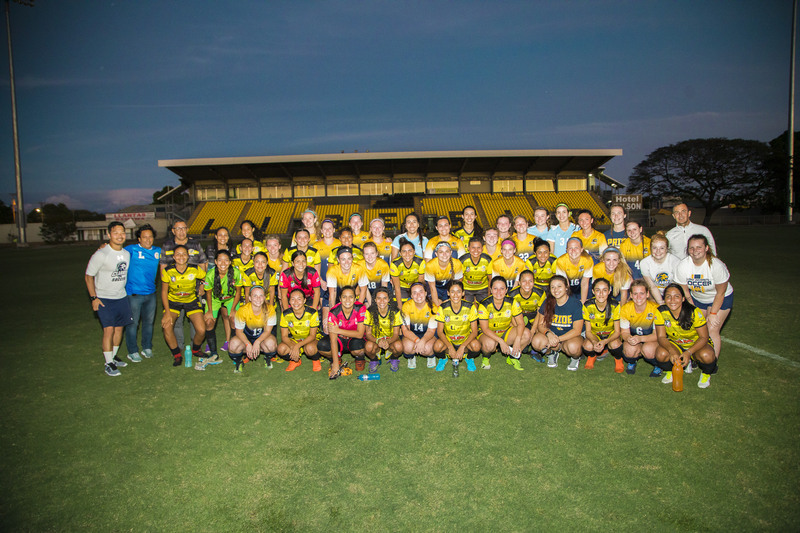 After a tough goodbye at the children’s center, the girls went straight to training where they practiced different defensive and offensive techniques. 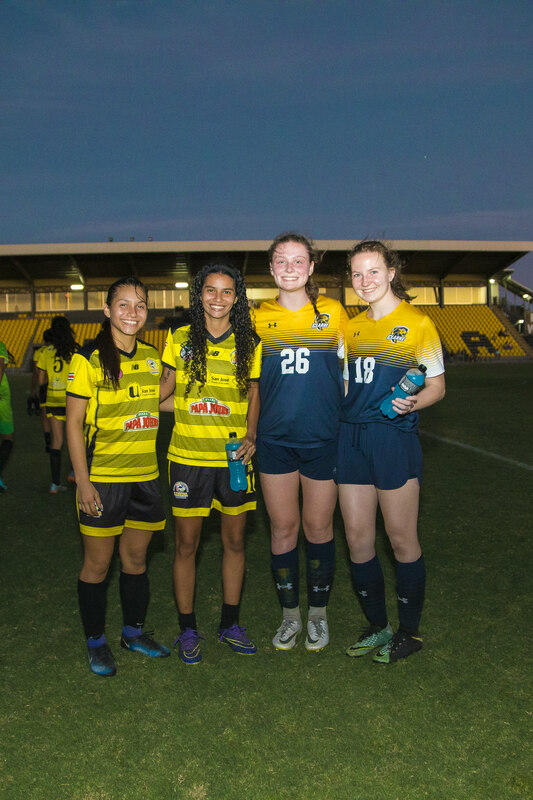 Their second Friendly was against Saprissa, a very important and strong team. 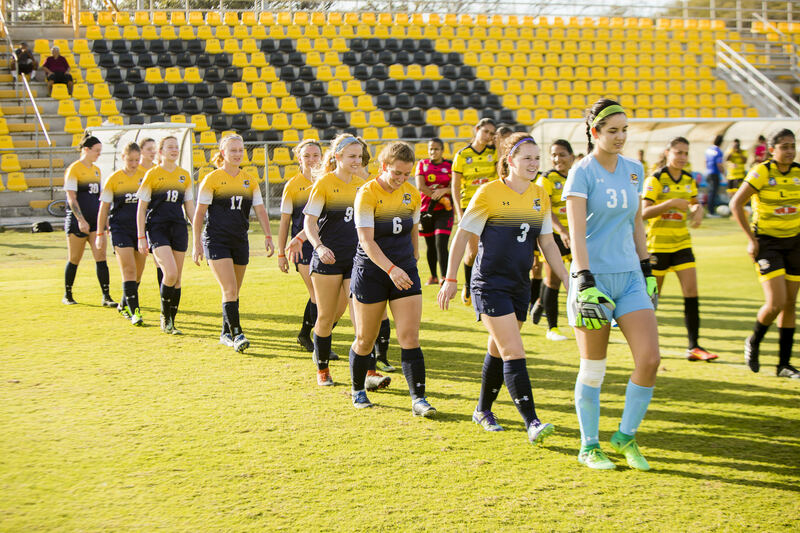 The final score ended up being against CU, but the girls took it as an opportunity to learn and improve for future tough games. 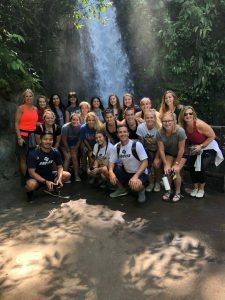 The last full day brought the girls to La Paz Waterfall Gardens, a breathtaking collection of five waterfalls, cloud and rain forest, safe hiking trails, toucan feeding, and so much more. They loved seeing these animals up close, even with one of the frogs jumping onto one of the girls. 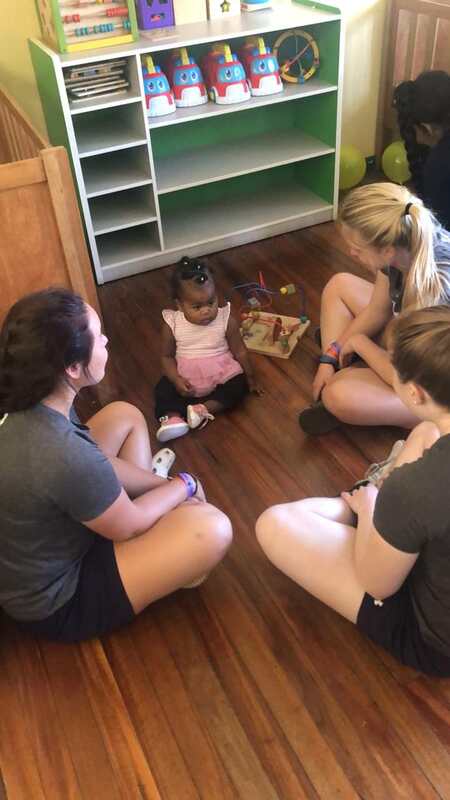 The fun continued when the coach bought hot sauce at the gift shop and challenged the girls to try it, which ended in tons of laughs (and some tears). The itinerary didn’t stop there! 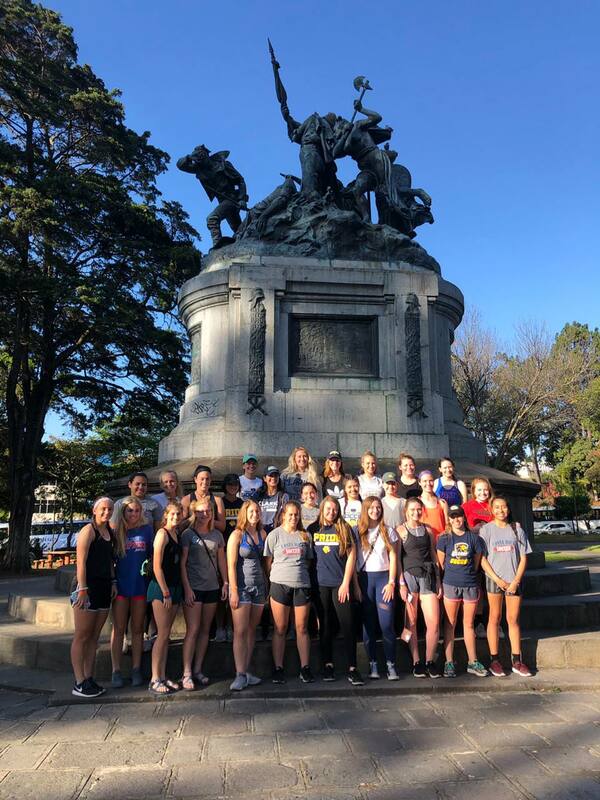 After lunch, they ventured out on a Walking City Tour of San José. 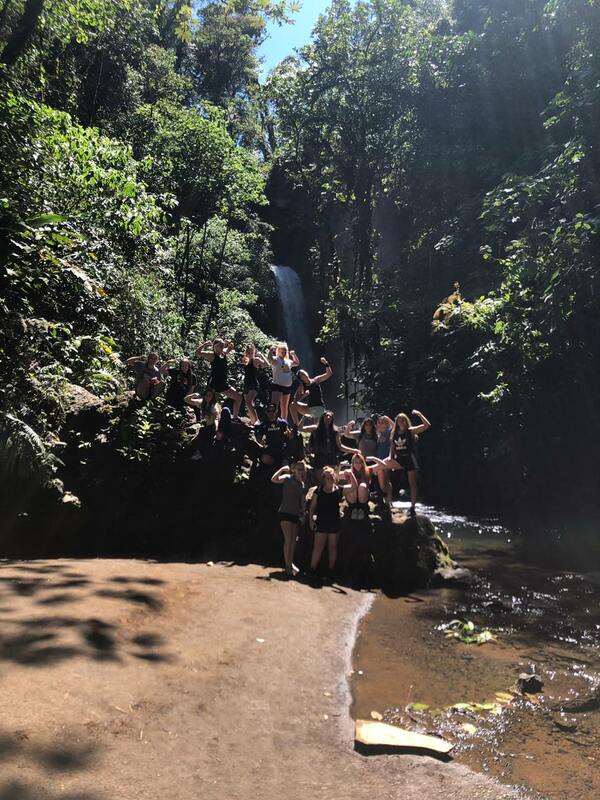 Despite being tired, the girls’ excitement carried them through the incredible experience. They then headed back to the hotel to unwind, bond, and prepare for their trip home.